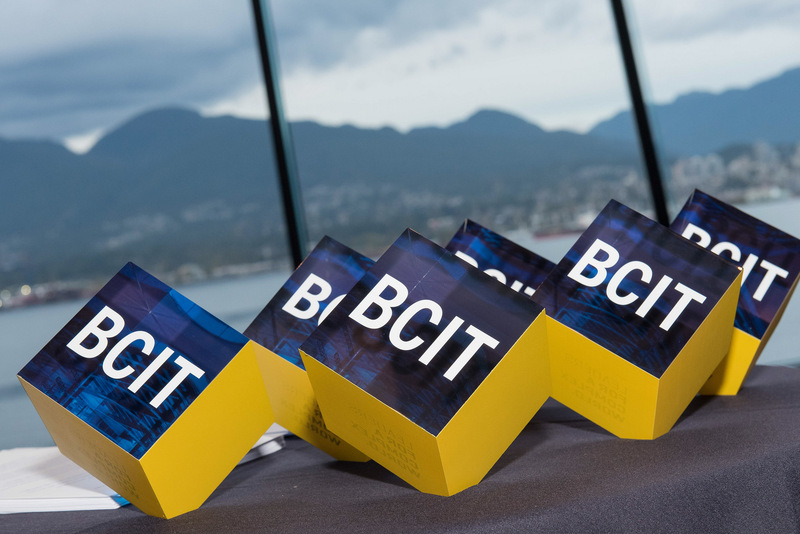 On October 22, 2018, BCIT will host the sixteenth annual BCIT Distinguished Awards, celebrating our 2019 Honorary Doctorate of Technology recipients and four exceptional BCIT alumni. The accomplishments of these remarkable individuals tell a compelling story about who we are, what we do, and the impact BCIT has locally and internationally. On October 22, we will also recognize our 2019 Honorary Doctorate recipients: Elyse Allan, Former President and CEO, GE Canada; and Roberta Jamieson, President and Chief Executive Officer, Indspire. Elyse Allan is a passionate champion for Canada’s competitiveness, advancing the country’s science and technology base and competitive fiscal policy. During Ms. Allan’s thirty-year association with GE, executive roles in other technology and manufacturing companies, and her current board role at Brookfield Asset Management, she has worked across many sectors of BCIT’s strategic focus: training technically-minded workers for the fields of power and hydro, oil and gas, aviation, health care, transportation, and capital financing. Elyse actively engages in developing and shaping public policy through industry groups, research, and advocacy organizations. She has participated on a number of federal and provincial government advisory boards focused on Canada’s competitiveness, energy strategy, economic development, transportation strategy, and access to credit. Ms. Allan was recognized in the Top 100 Women of Influence Hall of Fame by the Women’s Executive Network, the YWCA Woman of Distinction (Business), and by Maclean’s and Canadian Business Magazines as one of Canada’s most influential business leaders. In 2014, she was appointed Member of the Order of Canada for her community engagement and achievements as an innovative business leader. She earned a Bachelor of Arts degree from Dartmouth College in New Hampshire where she studied Biology and environmental studies and an MBA from the Amos Tuck School of Business at Dartmouth, where she chairs the Board of Overseers. 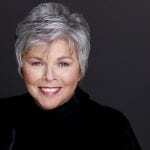 In addition to being President & CEO of Indspire— a nationally registered charitable organization dedicated to raising funds to deliver programs that provide the tools necessary for Indigenous peoples in Canada to achieve their potential—Roberta Jamieson is also Executive Producer of the Indspire Awards. A Mohawk woman who has enjoyed a distinguished career of firsts, Roberta was the first First Nation woman in Canada to earn a law degree. She was the first non-parliamentarian appointed an ex-officio member of a House of Commons Committee, the first woman Ombudsman of Ontario, and the first woman elected Chief of the Six Nations of the Grand River Territory. Roberta, a long time advocate for greater diversity on corporate boards, is a member of Gender Equality Advisory Council for Canada’s G7 Presidency and former member of Hydro One’s Board of Directors. She has earned numerous awards, including, most recently, YWCA’s President’s Award and Women’s Executive Network’s “Canada’s Most Powerful Women” Hall of Fame, as well as 25 honorary degrees. An accomplished expert in alternative dispute resolution, Roberta served as Commissioner of the Indian Commission of Ontario. She is an Officer of the Order of Canada. In 2018, we are awarding Distinguished Alumni Awards to two individuals: Nigel Bennett, Co-founder and Principal, Aqua-Guard and Mischa Steiner, Founder and CEO, Awesense. Nigel Bennett, Co-founder and Principal, Aqua-Guard and 2018 BCIT Distinguished Alumni Award Recipient. Nigel Bennett (Mechanical Engineering Technology ’85) co-founded Aqua-Guard Spill Response Inc. with the goal of protecting the world’s most precious resource—water. For over 25 years, the company has designed, fabricated, and supplied marine oil spill response equipment, and provided related services to over 3,000 clients worldwide. Aqua-Guard’s patented oil-skimming technology is used to clean up spills from Alaska to the Gulf of Mexico and from Egypt to China. Mr. Bennett and Aqua-Guard have received multiple awards for their innovation, business excellence, and entrepreneurialism. 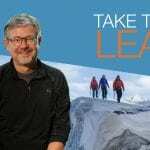 An active philanthropist, Nigel recently published Take that Leap: Risking it All for What Really Matters, recounting his business and personal adventures and the insights he’s gleaned. Mr. Bennett has been an active member of MIT’s Entrepreneurs Masters Program for 14 years and of the Entrepreneurs’ Organization for 15 years. To raise money and awareness of the plight of homeless youth, he has brought executives with him to sleep on the streets in his home town of Vancouver, Canada. Mischa Steiner (Electronics – Wireless Communication & Computer Networks ’03) is the founder and CEO of Vancouver-based clean tech success story Awesense. 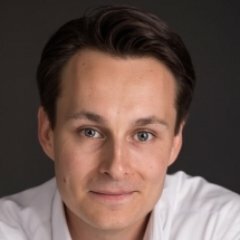 A frequent speaker and panelist at industry conferences, university programs and government events on smart cities, clean economy, AI and the innovation potential of technology to transform business and society, Mr. Steiner has expanded Awesense across the globe, reaching new heights in its efforts to save energy for their customers while significantly combating climate change. Awesense received the BCIC-New Ventures 2011 Sustainability Award, was the highest ranked Cleantech company in Deloitte’s Fast50 in 2017, and received GE’s Innovation Award in 2018. For several consecutive years, Awesense, which helps electric utilities optimize and modernize the electrical distribution grid, has also been recognized as a Top 100 Cleantech Company. Tara Wilkie is an alumna of the BCIT Bachelor of Science in Nursing and a practicing Forensic Nurse Examiner and ER Nurse. Also a part-time instructor in the BCIT Forensic Science and Technology department, Tara is a leading expert in the human trafficking component of forensic nursing whose knowledge has contributed to the work of Fraser Health Authority through the development of a human trafficking awareness model. In effort to educate healthcare professionals and the general public on the illusive and violent nature of human trafficking, Tara and two of her colleagues designed and implemented a ground-breaking online training module to improve identification and response to human trafficking. Developed for the Fraser Health Authority, this online training is now accessible globally. Tara has made an enormous and unique contribution to the knowledge base of healthcare providers, law enforcement, and justice system in the Lower Mainland, provincially and nationally. Her work has raised awareness and understanding of human trafficking by healthcare professionals to identify potential victims and help those in need. The 2018 Outstanding Student Leadership Award goes to Moshtagh Mohammadi (Civil Engineering ’18). Moshtagh, who earned his Diploma of Civil Engineering earlier this year, came to Canada as a refugee after fleeing his native Iran with his father and brother in 2002. 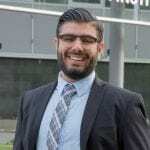 Moshtagh chose BCIT for its hands-on learning, becoming the first in his family to receive a post-secondary education. He excelled at BCIT, receiving the Marshall J. Heinekey Civil Engineering Award, serving as Chair for his School with the BCIT Student Association and on the organizing committee for the Western Engineering Competition, and placing as finalist in BCIT’s Presentation Idol competition. Moshtagh is an active volunteer in the Bahá’i community, through the Junior Youth Spiritual Empowerment Program, mentoring youth in New Westminster and Burnaby. Celebrate these extraordinary individuals with us at the BCIT Distinguished Awards gala on October 22, 2018, 5:00 p.m. at Vancouver Convention Centre West. Through your attendance and support, you will help inspire students, faculty, staff, and the wider BCIT community. You will help us affirm our commitment toward enabling students to manifest their own opportunities in a complex world. Purchase your table or tickets now! We expect this marquee event to again sell out early.